Dog Shows at the NEC! 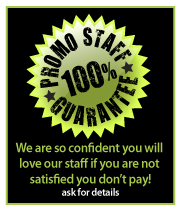 Over 10,000 staff nationwide so we can select the best staff for you! Who know the importance of standing out in a crowd! Dedicated, talented & professional brand ambassadors to make your campaign a success! The link between your brand & your target audience ensuring your audience has a positive experience! Need reliable and experienced promotional staff, event staff, hospitality staff, brand ambassadors, flyering staff or hostesses to ensure you get the best possible results out of your promotion, event or exhibition? Are you investing a lot of your time, resources and money to make sure your event or marketing activity is a big success? If the answer is yes then you need to ensure you use the right staffing agency to make this happen for you. Hiring staff from an experienced agency like Envisage leaves you to get on with other important ‘stuff’ whilst we get on with booking you the best staff ! Also, it doesn’t matter where your event is taking place we have temporary staff everywhere! We take the selection of the staff very seriously for your event. It’s not about a “bum on a seat”, it’s about staff that can deliver the results you need and that really understand your requirements. Find out why our staff are reliable and how they are carefully selected. 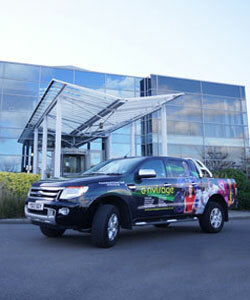 Using Envisage Agency is a win, win! With over ten years experience in the promotional and event staffing industry you can be confident that not only will you receive great customer service but the staff we provide will be exactly what you have asked for. We are very proud of the results our staff provide for our clients. A win for you is a win for us! 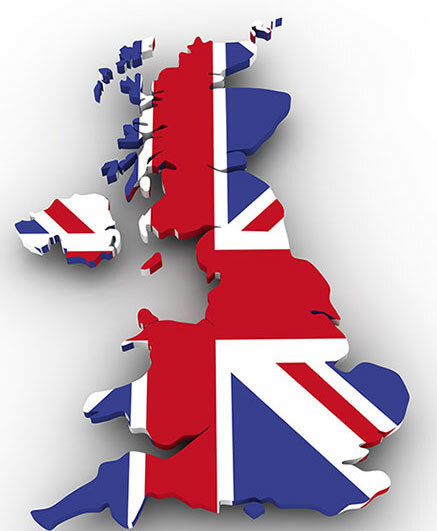 With promotional personnel located throughout England, Scotland, Ireland and Wales we have the resources to cover any location you could possibly need people. 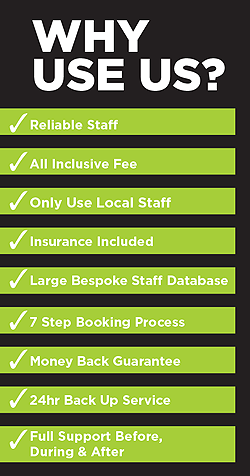 We don’t just place anyone on your jobs, our bookings team carefully select local staff with the skills you need which is based on your brief. We understand that a pretty face does not guarantee you will get you results so we focus on skills and personality first! Using the right promotional personnel will not only expand your customer base, but will also leave your clients (and future clients) with a positive memory of your brand or product or party. To find out about the cost and procedures involved in arranging staff, or you are not quite sure what you need. You can either call us on 0844 800 0071 and speak to us directly or complete our enquiry form below and send us your promotional staffing requirements. We are super fast at getting back to you! Just some feedback on Emma and Karen, Both girls were excellent in terms of presentation and professionalism. I did not have to tell chase them to do anything and they did all asked of them. I explained what I needed of them on the morning of the first day and they then went about plotting their various routes around the venue in order to maximise our brand exposure. They were both excellent and you should be very proud of them. I would just like to say a massive thank you to the hosts you provided for our event . They all did a great job and I’ve had really good feedback from each site. GET A FAST AND FREE QUOTE NOW! Let us know what you need by completing the form below and one of our friendly team members will be in touch. This form is strictly for the use of obtaining quotations. If you're looking to work for us, please contact us here.